The easy to use non-drip, dual function safety tap on the Burco Manual Fill has a built-in locking mechanism. Facing one way the tap runs only when held down, turned the other way the tap continues to run untill lifted back up, between these two positions it is locked. Safety plastic lid handle totally protects your hands when lifting the lid. A domed reverse helps return condensation drips to the body of the water. 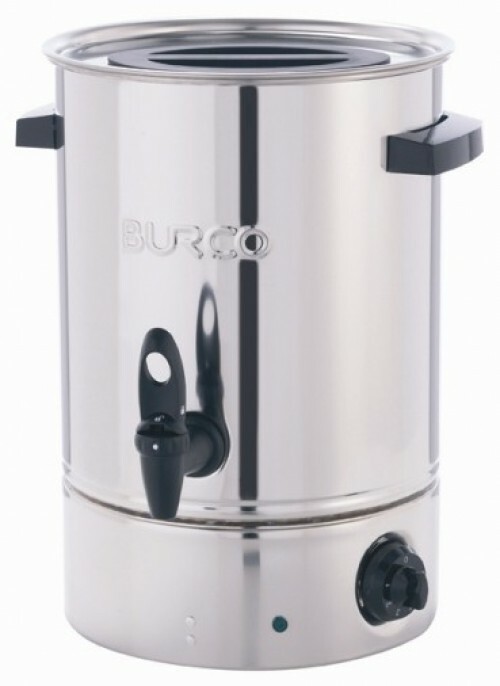 For superior safety and ease of use Burco safety boilers can be purchased with a semi-automatic filler valve connecting you to the mains water. All Burco boilers are fully safety and EMC tested, CE marked and supported by a full commercial guarantee.